Sipped from a chic copper mug, the Moscow Mule is a refreshingly cool cocktail classic. 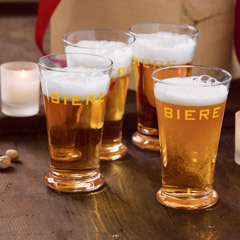 Made from beautiful tarnish free copper with hammered detailing, these mugs feature brass handles and a nickel lining to keep beverages perfectly chilled. Each mug holds 16 ounces and sets of two or four mugs plus unique recipe cards come beautifully gift wrapped in a hand crafted wood crate with ribbon. 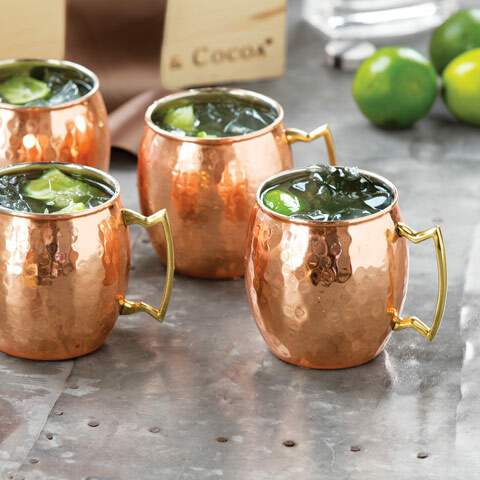 Hammered Copper Moscow Mule Mugs is rated 5.0 out of 5 by 17. 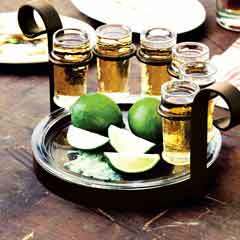 Rated 5 out of 5 by Oma k from Moscow Mule Mugs My daughter and son-in-law like a twist on the Moscow Mules popular when I was in college, which is the Mexican Mule made with tequila. I saw the beautiful copper mugs in your catalog and they had an anniversary coming up so it was meant up be. I sent them four mugs and they love them! Thank you!!! Rated 5 out of 5 by Servant Excellent from Wedding Gift I purchased these mugs as a wedding gift. 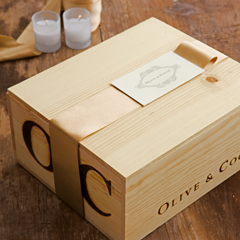 Love to surprise a recipient with the lovely packaging and the quality of Olive & Cocoa's products. 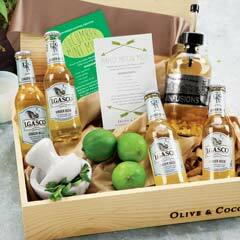 I know my gift will not simply blend in with the others, selected beforehand from venders. Rated 5 out of 5 by lesliemr from A Good Gift I sent these to my dad for his birthday. He raved about them and started using them right away. He was also impressed with the packaging. Rated 5 out of 5 by KVNJ from Great gift My husband loved receiving these mugs for Father's Day. The packaging in the wooden box made the beautiful mugs even more distinctive. This well made set of mugs will certainly be used throughout the summer. Perfect!! Rated 5 out of 5 by 99999999999JoJo from Beautiful & top quality!! 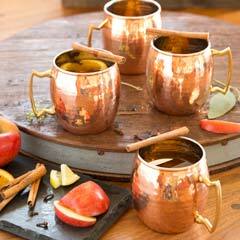 The hammered copper mugs are so great that I am purchasing another set. 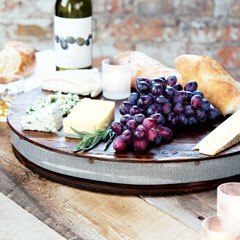 Rated 5 out of 5 by Mwenthur from Wonderful gifts I bought 4 gifts for friends, and the product was outstanding. The packaging was amazing!